Have you ever looked at a painting, drawing, or sculpture and wondered about the creator? Sometimes, what you find is deeply unsettling but not altogether surprising. Prisons today formulate ways to encourage inmates to adopt art as a form of redemption, but it’s clear that art and criminality often have met historically. 1. David And Goliath – Caravaggio. 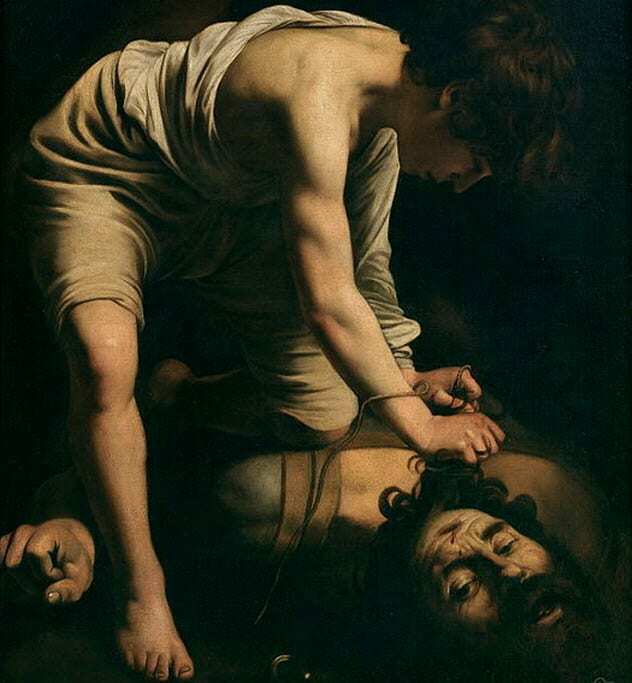 This striking painting is the renowned David and Goliath by Caravaggio, an Italian Baroque master of the 16th century. Caravaggio is no small name. His artwork influenced many an artist throughout time, including Rembrandt. Almost everyone views him as a perfect artistic genius, right? Not so much. As his fame grew, so did his rap sheet. In the space of six years, he was charged 14 times, usually over minor altercations such as hitting waiters on the mustache with plates full of artichokes.